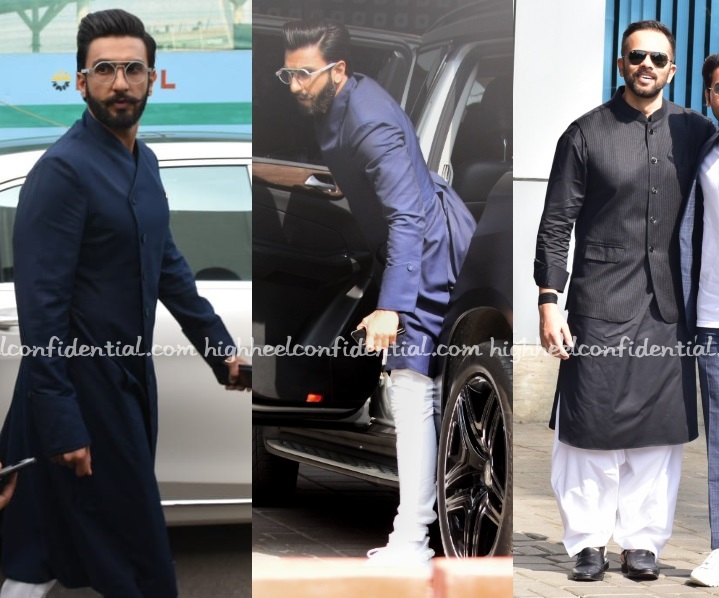 It was a mix between the men who attended the Prime Minister’s meeting with some opting for suits, some casual jackets and some desi-wear. Have a favorite? Mine was Ayushmann. He sure looked spiffy! P.S. Ayushmann was in Anuj Madaan suit and Zara knit and shirt. 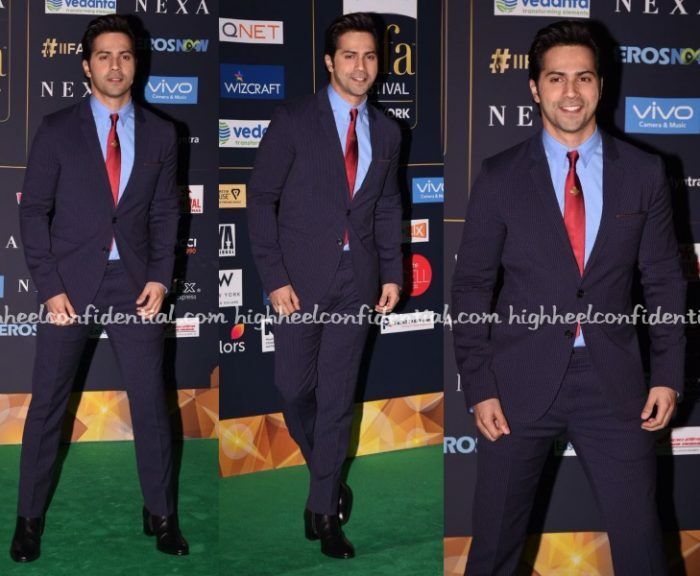 Varun was in Paul Smith. Ranveer was in Rishta By Arjun Saluja. With an upcoming movie, Sushanth has been busy with promotions. For a trailer launch, he opted for Kunal Rawal separates, which he paired with shoes from Tods. At a promotional event, he was spotted wearing a Paul Smith blazer with a Brooks Brothers shirt and G-star Raw jeans. I disliked the fit of his jeans and the blazer. 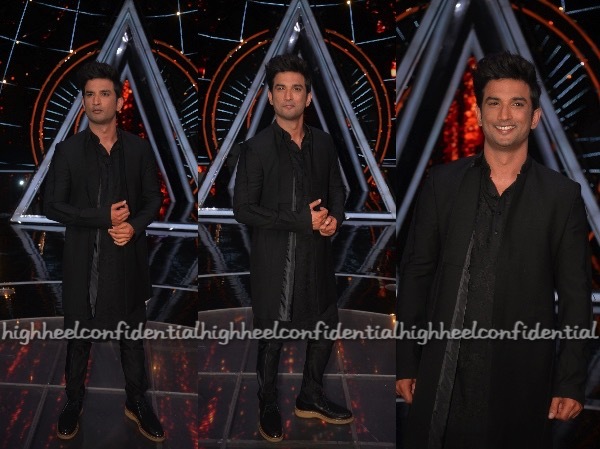 He fared better in the Kunal Rawal outfit. 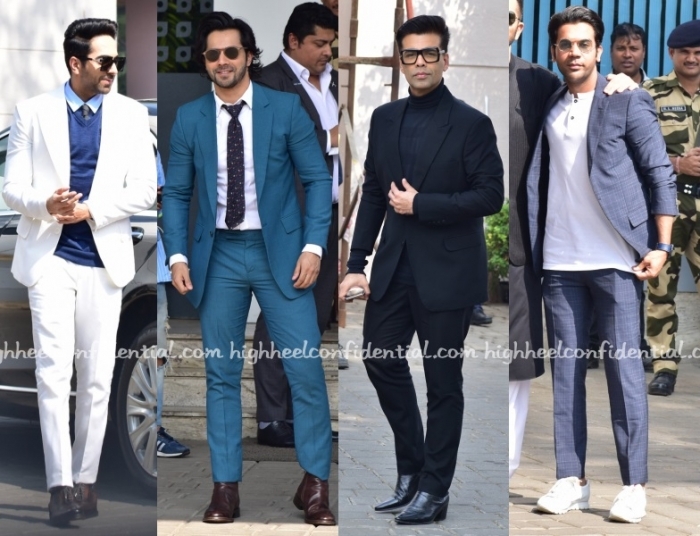 No black for these gentlemen, they suited up in color at the GQ Awards. And while all three wore their suits well, Mr. Bose didn’t quite have our vote… His matching shoes were bit of a deal-breaker. P.S: Nawazuddin is wearing Paul Smith and Saqib, NM Design Studio. Shahid Kapoor and Salman Khan did shades of blue at Big Zee Entertainment Awards 2017. Shahid won brownie points for the fact that he opted for a non black, non desi outfit. He looked good in his Paul Smith separates. Salman has been gravitating towards blue quite a bit these days, but like last time, the look worked.